Meet my mam, Eve. 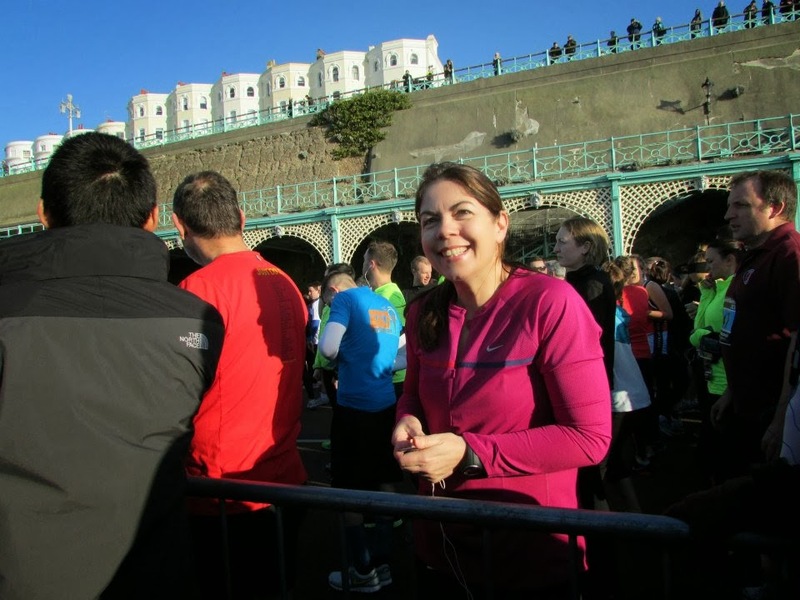 This is her at the Brighton Half Marathon 2013, she also ran it this year and for the first time she will be running a full marathon in April. She's very talented and now she is using that talent to raise money. The marathon she is taking part in is the London Marathon. She is raising money for Brain Research Trust and it'd be really awesome if you helped too! So far she's raised £532 and there's still 48 days left to support! Follow this link to go to the fundraising page where you can donate as much or as a little as you'd like. Most of the people I have on facebook that I'm reaching out to are students and I know students are often short of money, but even if you donate the price of one drink you'd have on a night out it would help. That's how much? Maybe only £3.50? Surely everyone can spare one alcoholic drink on a night out to support the work this charity does. Hopefully the power of social networking will help spread the word. I'm loving the hashtag raknominations instead of the incredibly stupid neknominations at the moment. Raknominations are random acts of kindness. I'm giving you the easiest raknomination you can do - donate a small amount of time and money to Brain Research Trust.